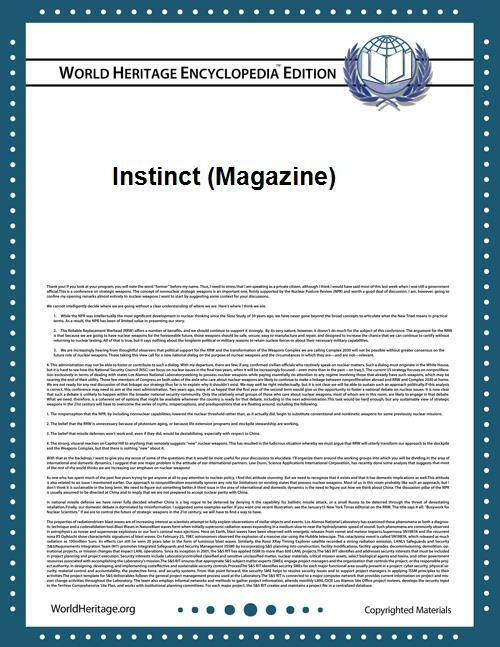 Instinct (ISSN 1096-0058) is a monthly magazine geared toward gay men. It was first published in 1997 by Instinct Publishing, Inc. and is distributed by Curtis Circulation. Its current editor-in-chief is Mike Wood.